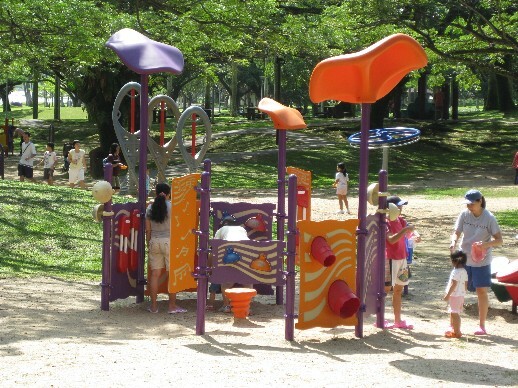 This morning we made our way to Pasir Ris Park after hubby heard that they’ve renovated the children’s playground. I was quite blown away when we reached the place. 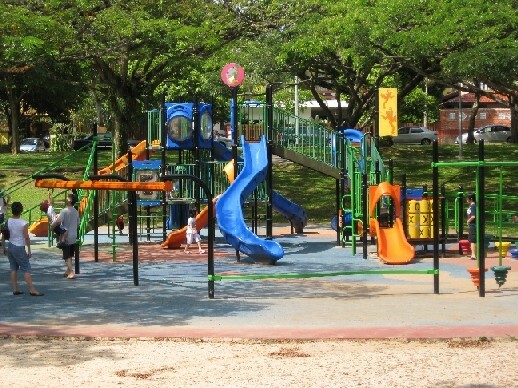 The children’s play area is HUGE, boasting 4ha. 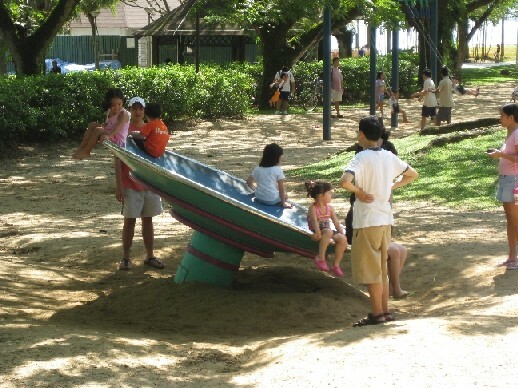 I think it held about 5 to 6 or more different play stations catering to kids of all ages (including teens). This place is awesome. 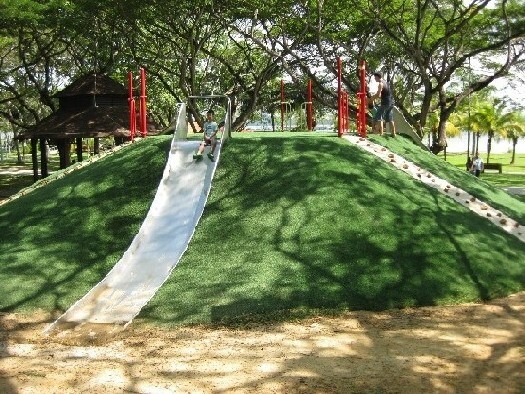 In our opinion (hubby’s and mine) it is better than Jacob Ballas Children’s Garden. Needless to say my kids had a fantastic time. Here’s some of the stuff they did. Spider’s web type of thingy? 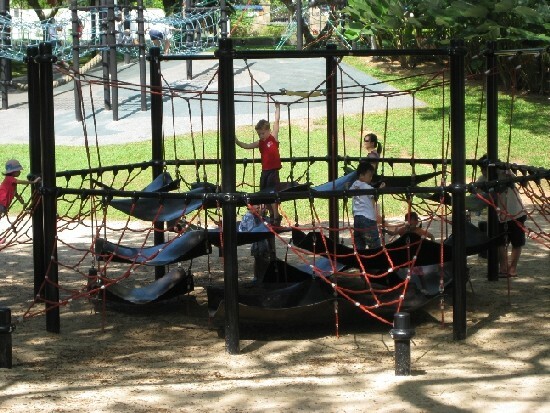 For an overview of the children’s play area click on these below. 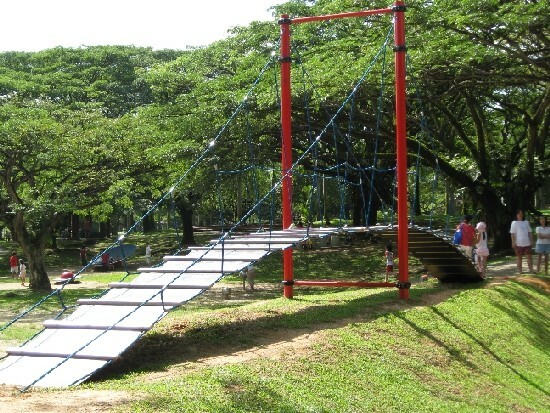 There’s also flying fox for children (not in the pics), “rock climbing” thingy for pre-schoolers and swings. Quite something else, don’t you think?